Whether you have an idea or a nearly finished manuscript, we’ll make your publication the best it can be. We offer comprehensive editorial publishing services, as well as book cover design, graphics, kindle and epub ebook conversion. If we are involved from the beginning, we can help you produce better publications. We can assist you in identifying missing pieces and parts that might be left out that would strengthen the piece. Involving us from the start will save a great deal of effort later, particularly at the developmental edit stage. A developmental edit looks at your publication from a high level. Have you included all the important pieces? Are there parts that could be omitted or moved? Is the tone right for your audience? Is the point of view consistent? A developmental editor will ask questions that are better answered before your publication is offered to its audience. Developmental editing is much more effective if you start your publication with a carefully considered outline. 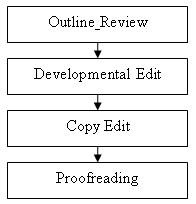 A copy editor goes through your publication from start to finish, improving grammar, syntax, and paragraph structure. The purpose of a copy edit isn’t to make your work conform to some arbitrary set of composition rules. It makes your publication easier to read. No publication should ever go out the door without one. Proofreading is the final quality check of your publication. The purpose of the proofread is to catch the small things the copy edit might have missed: stray punctuation, misspellings, incorrect homophones, and homonyms, etc. It’s another essential step for a polished publication. Note: eBookconversion is not affiliated with Amazon.com. Kindle is a registered trademark of Amazon.com.